It really made my day when I received these goodies in the post last week, and I’m really excited to share them with you. 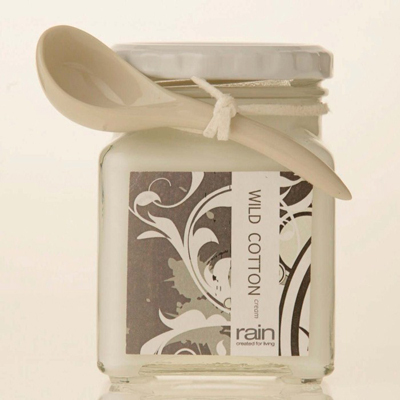 I’ve been a fan of Rain Africa for a long time, they are often one of my go-to shops for gifts (one of my favourites is the Wild Cotton Cream Jar with the gorgeous little ceramic spoon). Anyway, I digress. 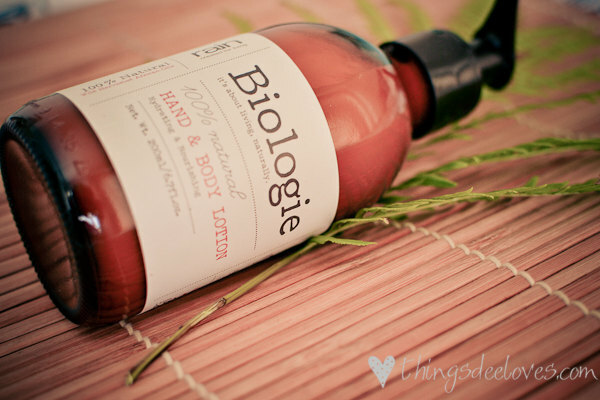 I’ve recently had the chance to review some products from the lovely Biologie range. I love the packaging of this range, and everything smells AMAZING (all the products remind me of an aromatherapy massage). I’m not sure that my writing can do these products justice, but here goes. 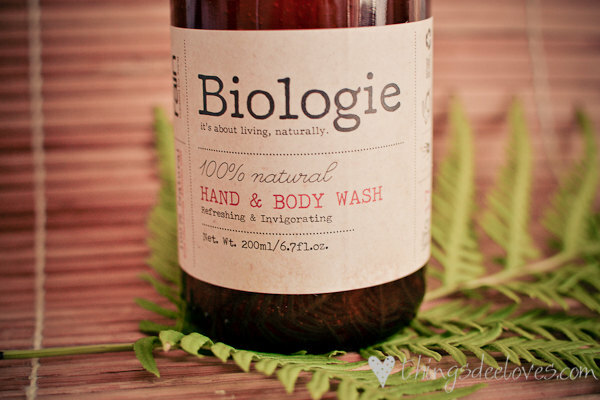 The 100% natural Hand & Body Wash has a wonderful scent of lemongrass (one of my favourites), which is really refreshing. The wash itself feels really rich and it lathers nicely, leaving your hands soft and moisturised long after you’ve dried them. Even though the wash is really moisturising, it’s a lovely treat to follow it up with some of this 100% natural Hand & Body lotion. The lotion is quite light and doesn’t leave any stickiness, and the scent compliments the wash well. This is a must-have product for anyone who travels. 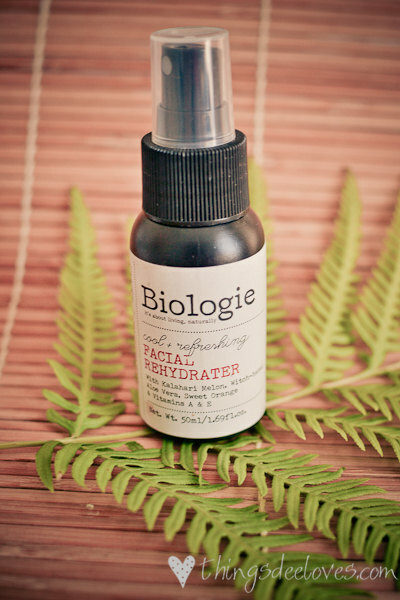 The cool & refreshing Facial Rehydrator comes in a 50ml spray bottle that is easy to pop into your handbag or luggage. Flying always leaves my skin feeling really dry and tight, so this rehydrator would be perfect for long-haul flights or to use in other dry environments. The scent is fresh and subtle, and the spray left my skin feeling cool and refreshed. 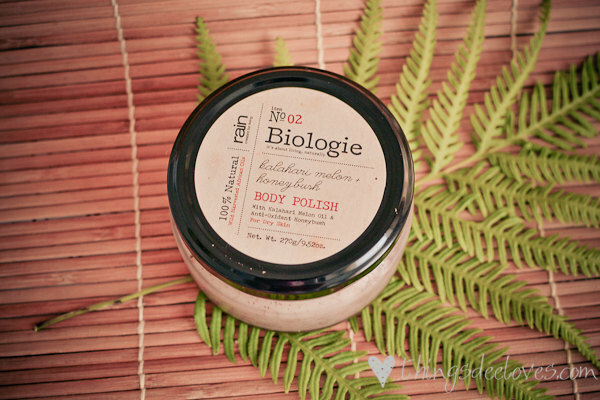 The Body Polish was my favourite of the four products, and is definitely something that I would buy again. Body scrubs often make my skin feel dry and irritated, but this Rain Africa polish contains Kalahari Melon and Sweet Almond oil, which left my skin incredibly silky and moisturised. It also come beautifully packaged in a frosted glass jar. There are various Rain Africa stores around South Africa (the Swellendam and Cavendish stores also offer spa treatments), and items can also be ordered online. Good news for our US readers, you can also find Rain products in New York, or online. The lovely ladies from Rain have provided a lovely little hamper for you to win! Enter using the Rafflecopter link below (winner announced Monday 3 Feb).